Washington, DC – Are record snowstorms proof that global warming isn’t happening? The short answer is no, according to a report released by the National Oceanic and Atmospheric Administration (NOAA). 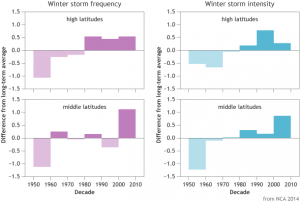 In fact, rising global temperatures may actually be contributing to increasing snowstorm intensity. Snowstorms require two things: moisture and freezing air temperatures. 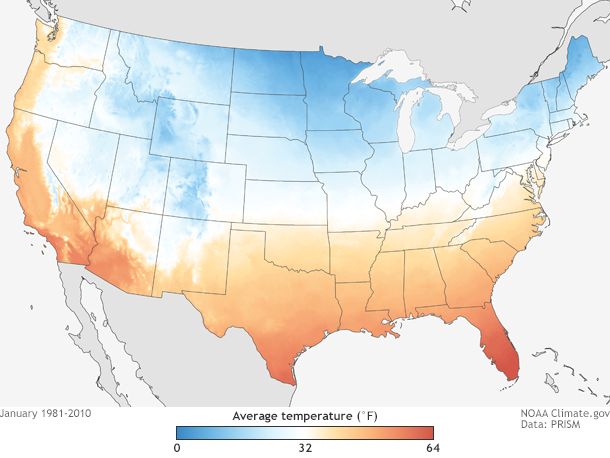 There are plenty of places where winter temperatures would have to rise by 10, 20, even 30 degrees Fahrenheit before it would stop snowing. 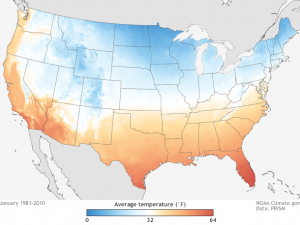 Until then, snowstorms remain quite possible, and natural climate patterns and random variability will still lead to winters that are unusually cold and snowy in different locations, according to Caitlyn Kennedy, Science Writer & Social Media Coordinator at NOAA. Summarizing that analysis as part of a “state of the science” review of climate change and extreme storms in 2014, a group of scientists concluded that even if temperatures continue to warm as they have over the past several decades for the next few decades at least, then such record storms are possible, as they have been observed during otherwise warmer- and drier-than average seasons. 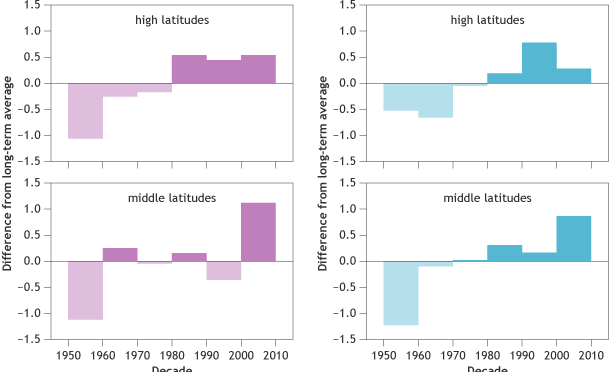 Scientists have measured a significant increase in water vapor in the surface atmosphere over land and ocean relative to the 1970s. This global increase is consistent with the long-term warming trend in our planet’s average surface temperature. Warmer air temperatures fuel more evaporation, leading to a wetter atmosphere, which increases rain or snow totals. The precipitation boost may be especially significant for coastal winter storms like Nor’easters, such as the one that buried Boston in mid-February last year. These storms draw much of their intensity from the extreme contrast between cold air over land and warmer, wetter air from over the ocean. Warmer ocean temperatures may make the air aloft warmer and moister, amplifying the contrast. That wetter air is then brought into the storm system, producing large amounts of snow. “While researchers sort out the science and overcome the challenges involved in making predictions, it’s certain that snowstorms will not be going away anytime soon. Earth has plenty of wiggle room before it warms so much that we will stop seeing snow anywhere in the winter,” Kennedy concludes.